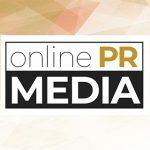 Online PR News – 20-September-2012 – Mt. Jackson, VA – Who is the greatest living essayist writing in English? Unquestionably, it is Joseph Epstein. Epstein is penetrating. He is witty. He has a magic touch with words—that hard-to-define but immediately recognizable quality called style. Above all, he is impossible to put down. The latest volume of Epstein’s work is called Essays in Biography. Each of the forty different pieces describes a different individual: some of them writers and thinkers such as Saul Bellow, Aleksandr Solzhenitsyn, or Isaiah Berlin; some of them historical figures such as George Washington or Adlai Stevenson; some of them popular culture figures such as Joe DiMaggio or Alfred Kinsey. After reading Epstein we see these figures with fresh eyes—and we also see ourselves a little more clearly too. This is what Plutarch intended: life teaching by example, but with a wry smile and such a sure hand that we hardly notice the instruction. It is just pure pleasure. He is the author of twenty-three books, many of them collections of essays. His books include the bestselling Snobbery and Friendship, as well as the short story collections Fabulous Small Jews and The Love Song of A. Jerome Minkoff.